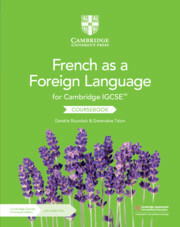 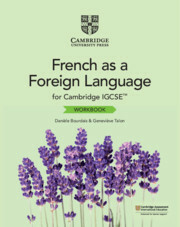 With a skills-based approach and an international outlook, this coursebook with Cambridge Elevate enhanced edition promotes a deeper understanding of French language and culture in francophone countries around the world. 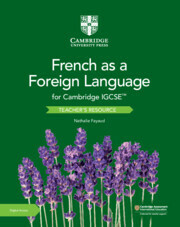 Engaging texts, images and audio enhance the activities in the coursebook and help students develop language skills. 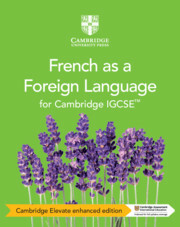 Revision sections and clear learning objectives encourage self-assessment and support students through the Cambridge IGCSE™, IGCSE (9-1) and O Level French as a Foreign Language courses. 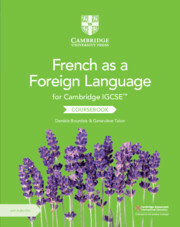 200+ formative assessment questions in the Cambridge Elevate enhanced provide students with extra practice in the four language skills whilst supporting teachers with evaluating student progress.